The Taliban have, for the first time, been presented with a comprehensive peace initiative. This is an invitation they can not turn down. President Ashraf Ghani’s proposal at the conclusion of the recent meeting of the Kabul Process on Peace and Security Cooperation was as bold as it was surprising. The package contains many new elements, and some things remain ambiguous, but the main news is that what is offered is a comprehensive package, without conditions or deadlines. Many Afghans remain skeptical towards a peace process, and many are skeptical of the Taliban, the government, or both. If the Taliban reject the invitation, they also give a loud message that their preference is enduring armed confrontation. It is hard to comprehend why neither the government in Kabul, not its international supporters, have taken such an initiative earlier. In 2001, the US quelled anything that could have led to a deal with the Taliban. Since then, the conflict has intensified year by year. But, at the core of the conflict, we find the Afghan public: the parties to the conflict depend on their goodwill in order to succeed. The absence of a comprehensive peace initiative from the side of the government has enabled the Taliban to focus on war, at little cost. In terms of content, there are also new elements in Ghani’s initiative. Most importantly, the proposal opens up for negotiations regarding the future of international armed presence. This has been a critical issue for the Taliban, who have used it also to argue that their counterpart ought to be Washington, not Kabul. With the question of international forces opened up for discussion, it is possible to envisage a phased peace process, where the US plays a central role in the first phase. There is no doubt that Ghani’s proposal is fully supported from Washington. Signals from President Trump and his team have gone in all directions, and the surprise over Ghani’s initiative is reminiscent of the reaction to the news about a meeting between Trump and Kim Jong-un. What is not clear is whether the whole peace package has been developed in Washington. President Ghani has always been insistent that the main problem is Pakistan, and that the key to talks is to get Pakistan to put pressure on the Taliban. It is therefore not unlikely that the offer delivered in Kabul was one developed in Washington. Apart from the question of international forces, there are two other questions that have remained at the center of the dialogue with the Taliban. One is the question of hosting international terrorist groups. The Taliban have already signaled clearly that they can commit to not doing so. After all, the Taliban faced the ultimate cost in the past for hosting Al Qaeda, when – following 9/11 – they were driven from power through an international intervention. The other question concerns the Constitution. The issue of women’s rights, including access to education and to work, is particularly challenging. The government has insisted that the constitution serves as the foundation for negotiation, while the Taliban, on the other hand, have demanded a fully-fledged process to develop a new constitution. The recent Kabul declaration opens up for revisions, and amendments, a significant accommodation of the Taliban’s position. So, how is it possible to conduct negotiations between parties engaged in direct battle? Over the past five years, the answer to that question has been to go through the office of the Taliban’s Political Commission in Qatar. Now, it is proposed that the Taliban opens an office in Kabul, and that representatives in talks receive passports and safe passage, with the ultimate aim of becoming a regular political party. A possible challenge ahead is that the International Criminal Court (ICC) is considering full investigations into war crimes in Afghanistan. This would not only affect the Taliban, but could also challenge the general amnesty that the Kabul-politicians have given themselves and their supporters. So why have we not seen a comprehensive peace initiative earlier? There has been no shortage of initiatives, or of prospective intermediaries. Many would argue that the sheer number of initiatives, without any coordination, has been part of the problem. But behind this lies an uncomfortable paradox. In 2001, and the few years that followed, the US and its allies displayed no interest in a peace process. Later, when the Taliban had built considerable strength, and were therefore less susceptible to peace talks, international interest soared. While the Afghan conflict has domestic roots, its scale and duration would not have been the same had it not been for the involvement of neighboring states and global powers. It may be exactly here that we now observe change. The US is less eager to play a global role in security, while China and Russia are both building up. In the Afghan context, China is particularly interesting. With its new Belt and Road Initiative, which will connect it to markets in the Middle East and Europe, China becomes dependent upon stability in Afghanistan, Pakistan and Central Asia. Hence, we also see a new Chinese will to engage, in security as well as politics. No peace process has unfolded in Afghanistan in the years following 2001, and neither is one underway now. But, the initiative from Kabul draws up a framework for a possible process, and thereby challenges the Taliban to demonstrate that they are capable not only of producing war and terror, but also of engaging politically. Many experts have argued that a peace process in Afghanistan must be secretive, that this is a precondition for the parties to engage. The new initiative spelled out by Ghani is the exact opposite. The public nature of the initiative presents the Taliban with a choice. 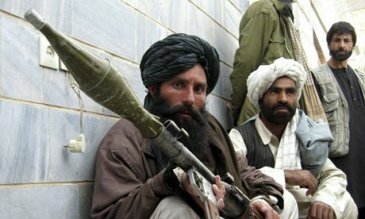 Should the Taliban turn the offer down, they will do so at a significant cost. The author of this post, Kristian Berg Harpviken, is one of the organizers of the Afghanistan Week 2018. Follow this link to view the full programme. 1- internal disagreement for the packaged offered by Ghani. 2-luck of political support by non Pashton politicians.